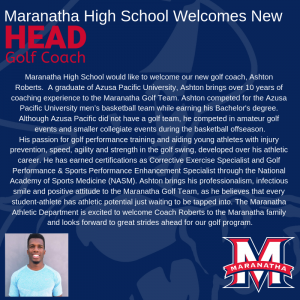 Maranatha High School would like to welcome our new golf coach, Ashton Roberts. A graduate of Azusa Pacific University, Ashton brings over 10 years of coaching experience to the Maranatha Golf Team. Ashton competed for the Azusa Pacific University men’s basketball team while earning his Bachelor’s degree. Although Azusa Pacific did not have a golf team, he competed in amateur golf events and smaller collegiate events during the basketball offseason. 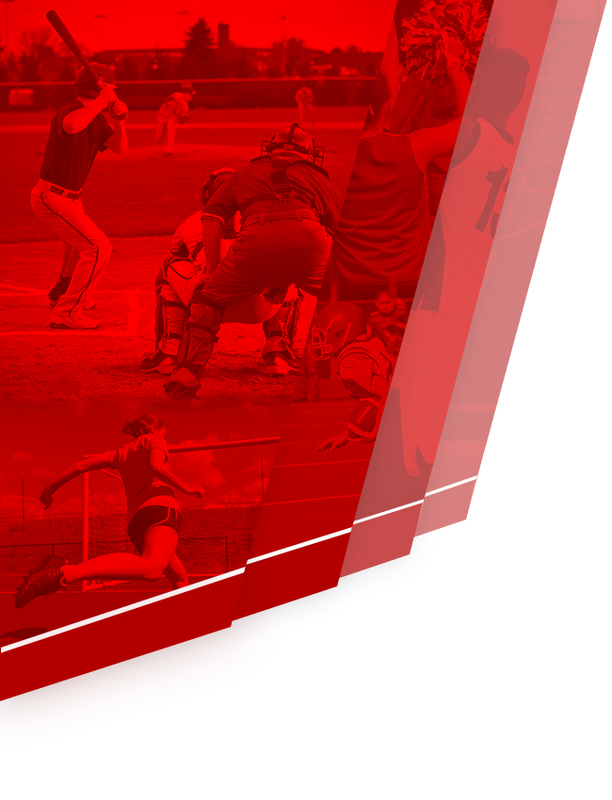 His passion for golf performance training and aiding young athletes with injury prevention, speed, agility and strength in the golf swing, developed over his athletic career. 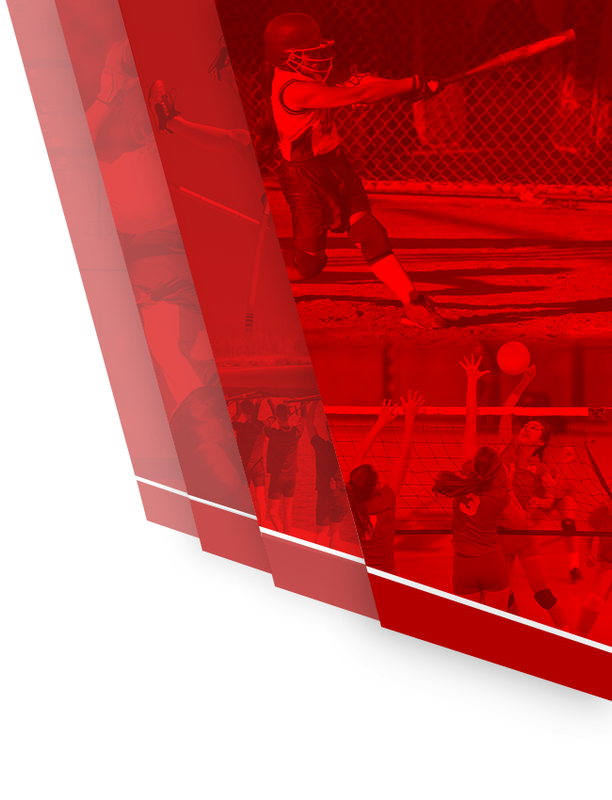 He has earned certifications as Corrective Exercise Specialist and Golf Performance & Sports Performance Enhancement Specialist through the National Academy of Sports Medicine (NASM). Ashton brings his professionalism, infectious smile and positive attitude to the Maranatha Golf Team, as he believes that every student-athlete has athletic potential just waiting to be tapped into. 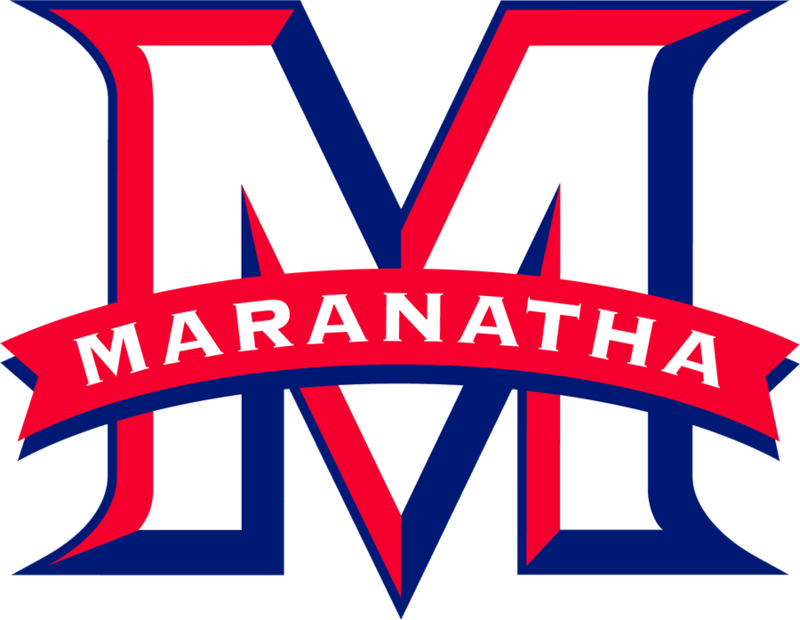 The Maranatha Athletic Department is excited to welcome Coach Roberts to the Maranatha family and looks forward to great strides ahead for our golf program.